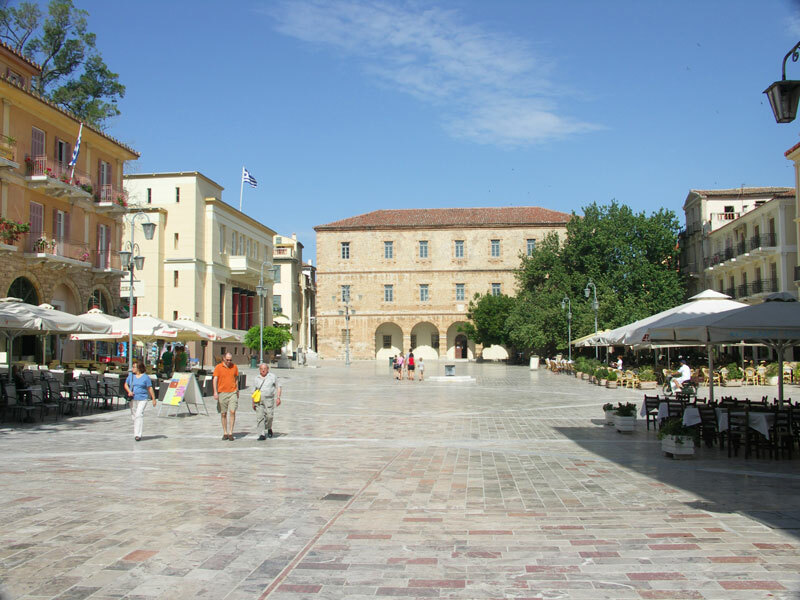 The old city of Napflio was the first capital of Greece after the country was freed from Turkish rule and as such has many historical monuments. 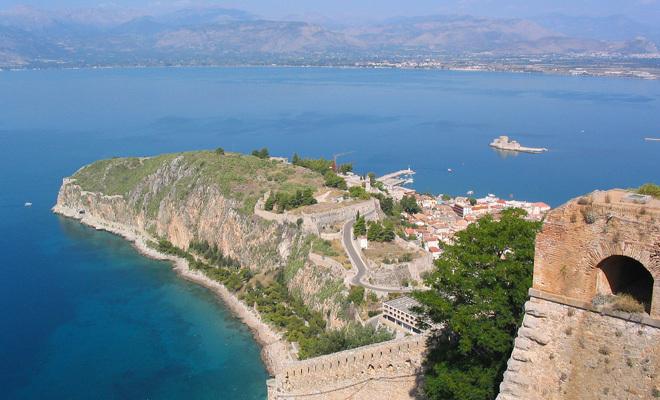 Nafplion is characterised by its varied architecture left by the Ottomans, Franks and Venetians, has a magical atmosphere and cosmopolitan feel which attracts visitors all year round from all areas of Greece and all over the world. 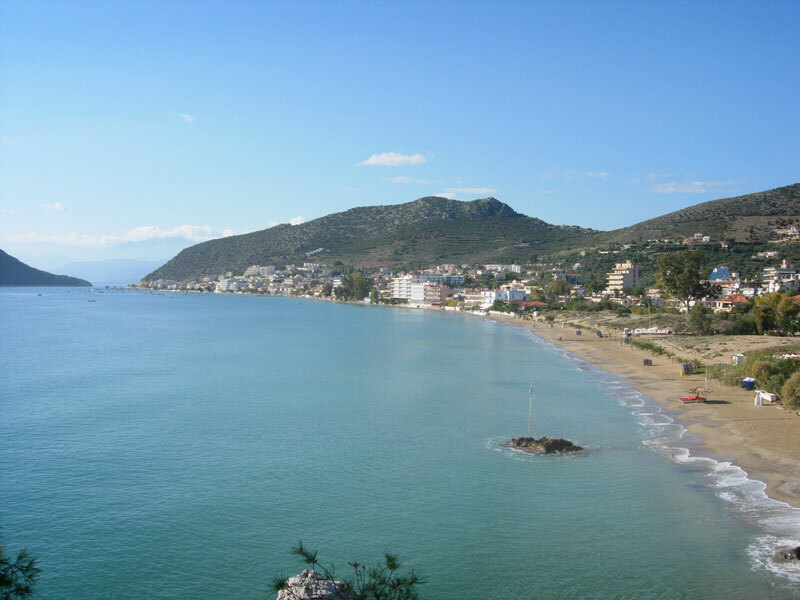 Nafplion's location is great for two reasons, becasue of its easy access from Athens with a journey of around one and a half hours and because of its central position in the Argolida making it a good base form where to explore the whole of the Peloponnese. The climate in Nafplio is slightly warmer than other areas in Greece which means, with milder winters that many European visitors will eat breakfast outside everyday throughout the year. 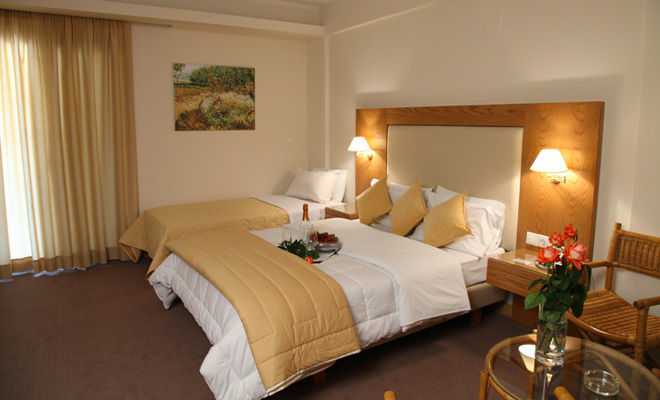 The sea breeze makes for a pleasant respite during the hot summer months of July and August when the town is teeming with tourists and locals. During your stay at the Aspassia Hotel visit the castles of Palamidi, Acronafplia and the Bourtzi Island found in the harbour (one of the most photographed castles in Greece) or one of the many historical sites in the old town. The variety of museums are a great idea for a cultural day out spending time at the Folklore, Archaeological, Military, Ouzo and Worry Bead museums. 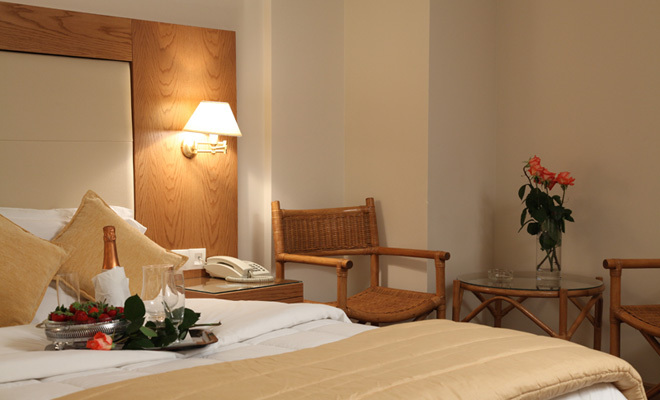 The old city of Nafplio has a charm reminiscent of older times with its overhanging balconies and narrow little streets with small traditional style shops, cafeteries, bars and tavernas on both sides. Along the harbour people of all ages sit in the bars and cafes relaxing and watching the people go by and the yachts and boats mooring. 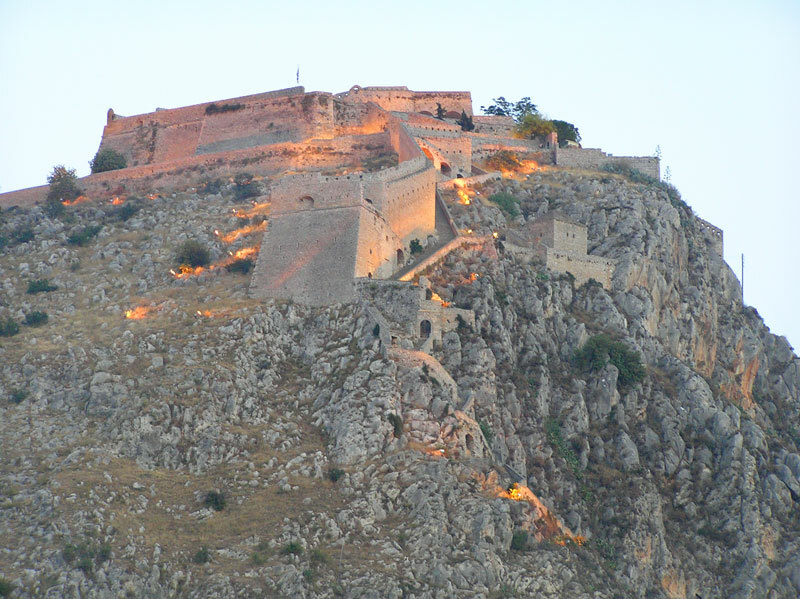 Just a few minutes outside of Nafplion in the direction of Argos is the UNESCO site of Ancient Tiryns (Tiryntha) where the acropolis, Cyclopean walls and many other archaeological finds are on show. Excavaton continues at this site. Visit also the smaller but no less impressive sites of Ancient Midea, Lerna and Ancient Heraia. 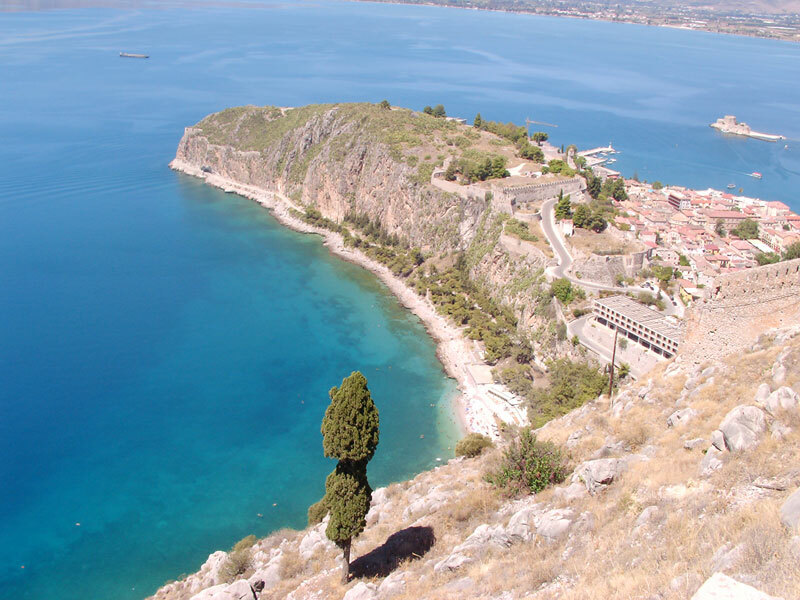 There are two beaches in Nafplio, Karathona and Arvanitia. 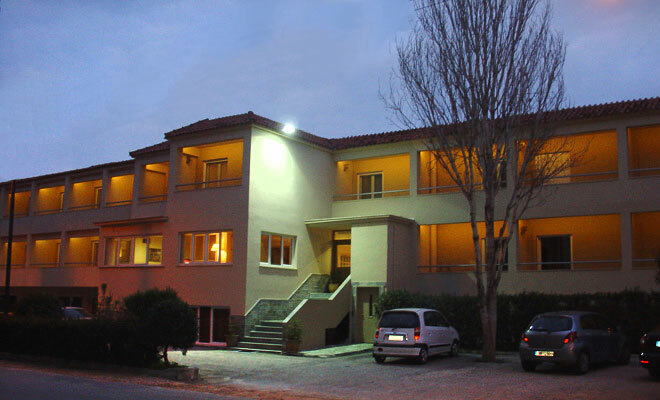 Karathona is a few minutes out of the town by car or bus and is a well organised long beach curved around a beautiful bay. It is one of the few beaches in the Argolida that is honoured with the blue flag each year. Arvantitia in contrast is known as the local's "town beach" and is great for a quick dip with crystal clear water and rocks.